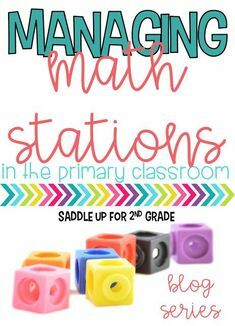 I’m linking up with Michelle from Apples and ABCS﻿ and Mel from Seusstastic for Elf in the Classroom! 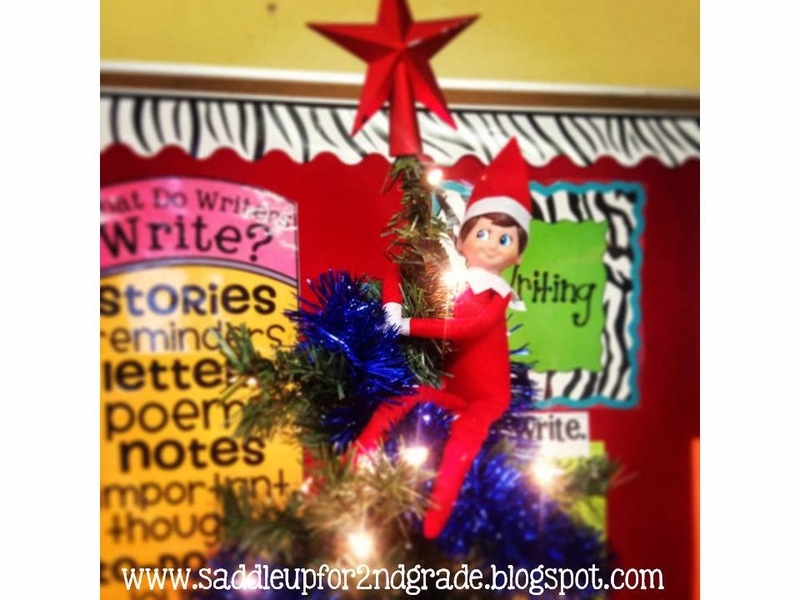 This is my first year to do elf on the shelf in my classroom and I think I am loving it more than my kids! 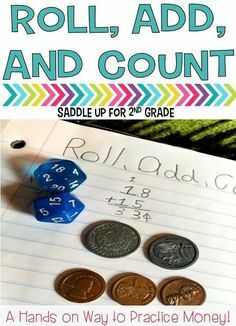 I was a little unsure of what to do at first but I have enjoyed making memories for my kids. 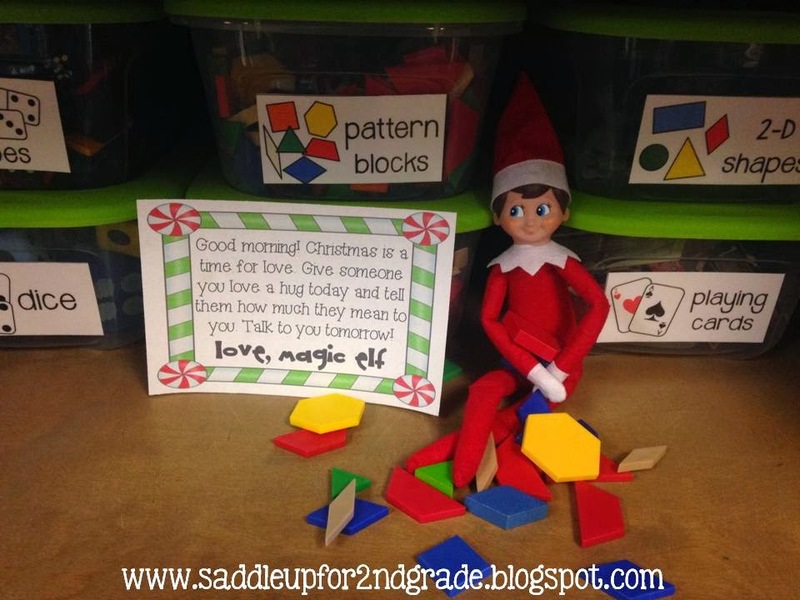 The first thing they do each morning, is search the room to see where “Flaky”, our elf is. They love talking about how Flaky got there and what they think he will do next. 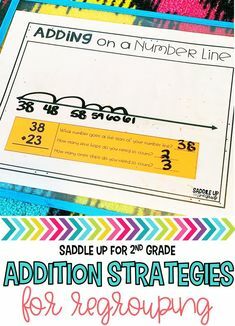 This is a beginning of a fun tradition in the Saddle Up classroom! 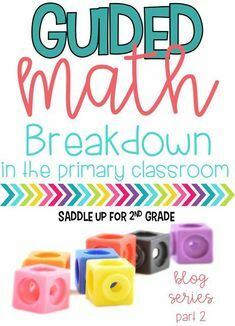 I also wanted to share the true meaning with my kids. I’m using Teaching Bits and Bobs Magic Elf Activity and Writing pack to help teach the true meaning of Christmas. 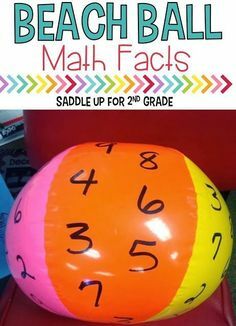 It includes a daily message to share each day. Last Monday, I read the Elf on the Shelf story to them. They immediately got excited and we began our name picking right away. They decided on Flaky and he appeared when the kids came back from lunch. Flaky got into our pattern blocks and made a mess. 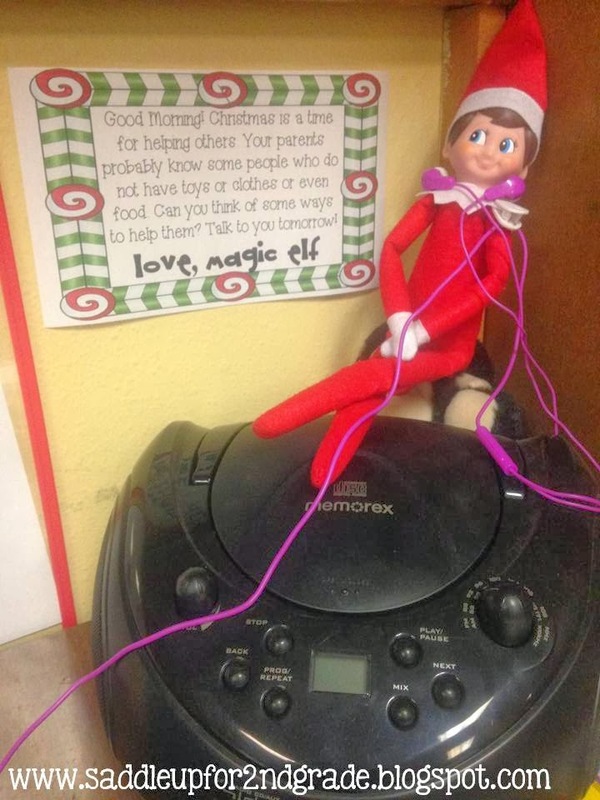 Flaky wanted to listen to a story in our listening center but he got tangled up in the headphones. First let me start with, day 3 was rough. The story says that Flaky will not come back if the kids are not following directions. 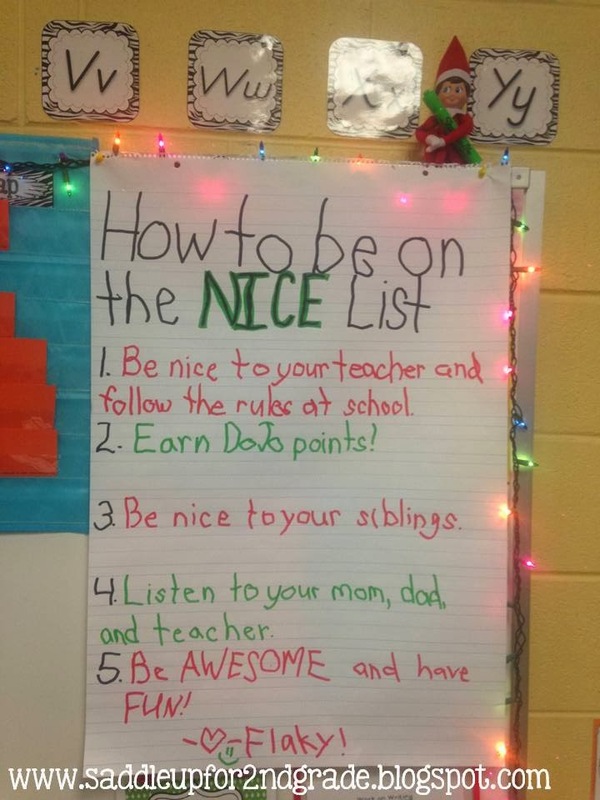 Instead of having him “not come back”, I had him write the class a note reminding them how to be on the nice list. They quickly straightened up their act. I had some kids comment and say that Flaky had really bad handwriting. (I wrote with my left hand so they wouldn’t recognize my handwriting.) Its still hanging in our room an will remain there until the last day before break. Day 5: Its been super cold in Texas the past few days. Flaky got into our tissue boxes and made a bed! 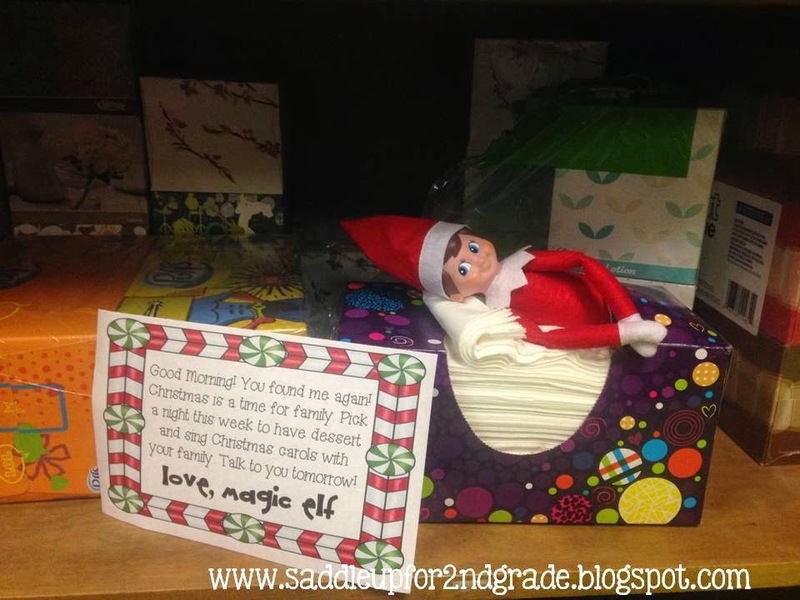 We had a copier issue last week and I was unable to make copies of their elf journal. 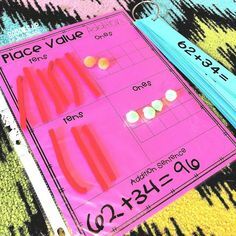 This week, I’m hoping to have the write about Flaky each day to help them remember this experience. 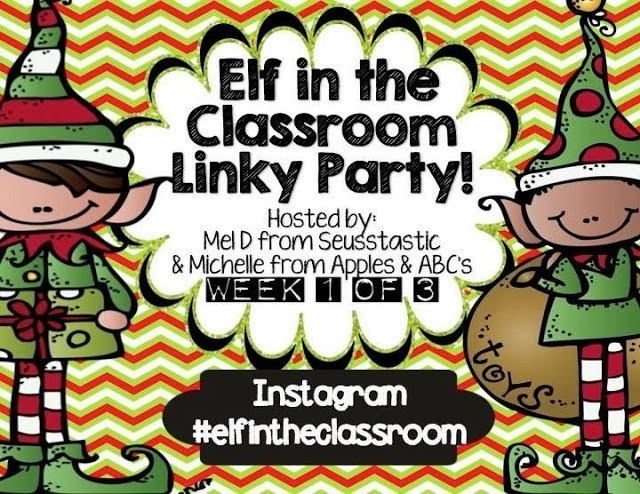 You can get more great elf in the classroom ideas through this linky or check out #elfintheclassroom on instagram!